Of the numerous detective, thriller, and noir series set in Ireland, only a few measure up as noir, in my opinion. Ken Bruen's Irish novels are very dark, indeed, but for me a bit too self-consciously literary, as if J.P. Donleavy turned his hand to the dark detective story (I'm led to that comparison by the short lines of verse-like prose that both authors use). Victor Banville's detective stories are very dark, as well, and more firmly in the genre--much better than the late Bartholomew Gill's McGarr series of police procedurals (but there are only a few of the Banville detective stories, and a couple of them are really intended as readers for teaching literacy skills). Of the rest, the best is John Brady's series featuring Matt Minogue, a Dublin policeman. Brady actually lives in Canada, though he was born in Ireland (in County Clare) and purportedly returns often, perhaps to research his series, which now numbers 8 novels (6 available in the U.S., the 2 most recent ones only available in Canada). 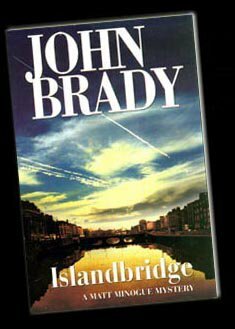 One feature of the novels that leads one to believe that Brady keeps in touch with his native country is the quality of the description of Dublin and the countryside, which has been undergoing rapid change during the time period of the series. Another is the language. Brady's ear for spoken, Irish-inflected English is astonishing, even achieving distinct regional accents within his eccentric pacing, spelling, and diction. 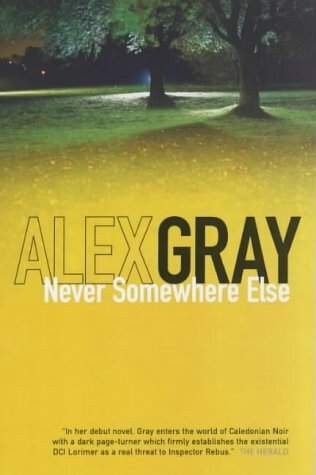 Though all the novels are very good in terms of the detective/noir atmosphere and plot, it is the language that distinguishes them as exceptional, along with the distinct characters who speak that language. The best of the first seven books of the series is the 7th, Wonderland, which has a truly noir plot: events on several tracks hurtle toward one another not in terms of a puzzle or mystery but a dark inevitability. The story hunges (as is usual in the series) on the current state of Ireland's troubled history. As to the 8th book in the series, I'll post an update on that one as soon as I've read it.